Dippin' Dots responds to Sean Spicer's attacks by politely pointing out he's a hypocrite. Yesterday, we told you about newly-appointed White House Press Secretary Sean Spicer's longstanding feud with Dippin' Dots, the flash-frozen treat known as "the ice cream of the future." But as Spicer's tweets demonstrate, he disagrees with that slogan entirely. That's just a sample. No one is sure why Spicer hates these little beads of ice cream so much (or why he still insists on lying about how many people attended Trump's inauguration), but Dippin' Dots isn't taking this lying down. CEO Scott Fischer chose to respond by publishing an open letter to Spicer on the brand's website. Then he shared it on Twitter, so they could be sure Spicer had see it. Fischer's letter is a master class in brand management. 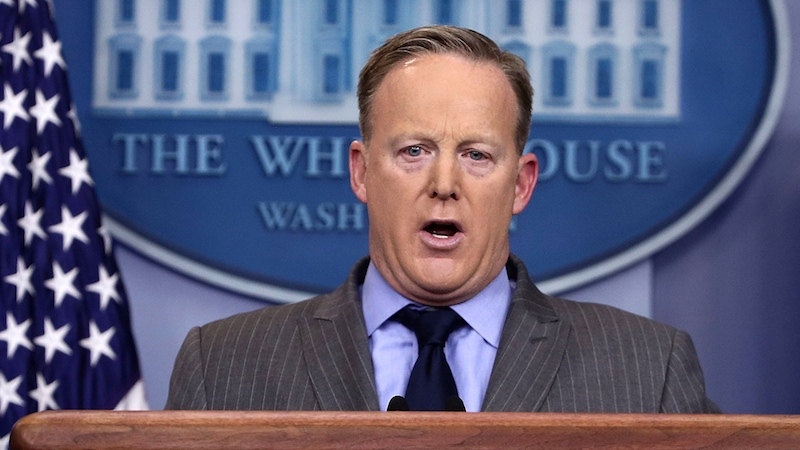 He manages to debunk Spicer's points while remaining positive and friendly, as befitting a company that makes novelty ice cream for amusement parks. He also points out in a wonderfully subtle way that Spicer is attacking a homegrown American business that still manufactures in the heartland—which doesn't exactly mesh with this administration's stated agenda. We understand that ice cream is a serious matter. And running out of your favorite flavor can feel like a national emergency! We’ve seen your tweets and would like to be friends rather than foes. After all, we believe in connecting the dots. As you may or may not know, Dippin’ Dots are made in Kentucky by hundreds of hard working Americans in the heartland of our great country. As a company, we’re doing great. We’ve enjoyed double-digit growth in sales for the past three years. That means we’re creating jobs and opportunities. We hear that's on your agenda too. We can even afford to treat the White House and press corps to an ice cream social. What do you say? We’ll make sure there’s plenty of all your favorite flavors. Will Spicer and the Trump administration take Fischer up on his offer? Will a Dippin' Dots ice cream social of the future be the first official event held at the Trump White House? Only one thing is for sure—if they do, it will be the most-attended event in White House history. Period.